Popular US e-cigarette maker JUUL is facing a series of court challenges as disgruntled customers and predatory lawyers aim for a share of the company’s profits. JUUL’s alleged crime is to have loaded their products with enough nicotine to cause addiction, even in hardened smokers. It’s not all bad news though. The British government is coming under pressure to make its already moderate vaping regulations even more sensible, with a focus on encouraging harm reduction. A new study from Belgium has also demolished the idea that modern, high-power mods are somehow dangerous, finding that the claimed health risks are only short-term effects of nicotine. One of the biggest problems with journalism — particularly science journalism — is the fact that many people who practice it aren’t qualified to do so. Believe it or not, being a good journalist involves more than knowing how to turn on a computer and pound away aimlessly on a keyboard. Unfortunately, that seems to be the only requirement for some journalists. A few years ago, I was told by an editor at The Economist that they do not hire journalism majors. Instead, they hire people who studied “something real” and then are taught how to do journalism after they are hired. It’s a good rule, and media outlets everywhere would be better off if they all adopted the practice. Encouraging the use of e-cigarettes to reduce the number of smokers in Stockton has been defended amid an agreement to fund services helping people kick the habit until 2020. Both Stockton and Hartlepool Councils have held a joint contract with North Tees and Hartlepool NHS Foundation Trust to fund stop smoking services for the past three years. And the number of smokers has fallen in that time. Dr. Tevi Troy is vice president of public policy at JUUL Labs. Prior to this, Dr. Troy served as deputy secretary of the U.S. Department of Health and Human Services. He also served as the policy director for Senator John Ashcroft and domestic policy director for the House Policy Committee, chaired by Christopher Cox. Dr. Troy was the founding CEO of American Health Policy Institute, a senior fellow at Hudson Institute, and researcher at the American Enterprise Institute. Cigarette giant British American Tobacco’s (BAT) planned acquisition of big South African e-cigarette maker Twisp would lead to higher vaping prices in South Africa, the Competition Commission says. BAT, South Africa’s largest cigarette distributor, signed an agreement to acquire Twisp in January. 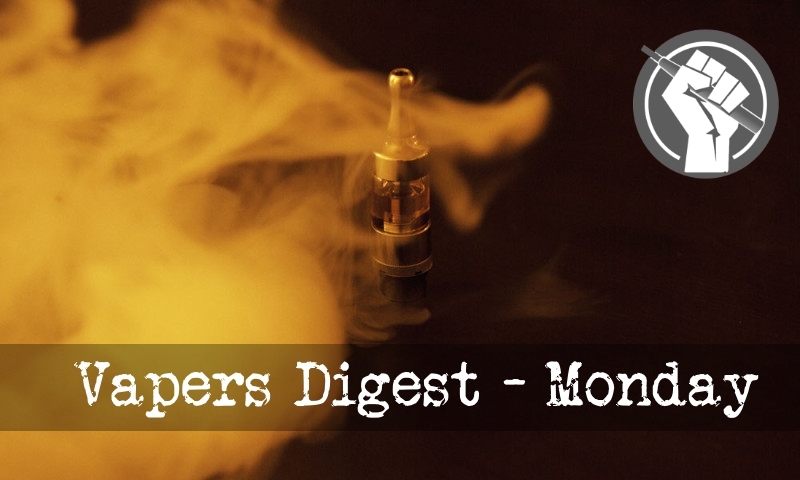 Twisp is believed to be the biggest distributor of vaping products in SA. When South Africa introduced designated smoking areas in restaurants and bars there was vehement opposition from sections of the hospitality industry. They argued that the public would stop eating out, restaurants would lose revenue and even close down, and jobs would be lost. Besides, they contended, no one would obey the law. Cigarettes, to put it mildly, are not as fashionable as they once were. In fact, campaigns to educate smokers about the deadly risks of lighting up and to help them quit have led to a remarkable decline in smoking rates in the past 50 years or so. Still, some 5 million Canadians are currently habitual smokers, and many groups and cities across the country are trying to take action to reduce that number to zero. Montana Secretary of State Corey Stapleton’s office announced Wednesday that Initiative 185 and Initiative 186 both received enough voter signatures to qualify for the November ballot. I-185 would increase the state tax on cigarettes by $2 a pack, to $3.70 a pack. It would also raise taxes on other tobacco products, including moist snuff, as well as e-cigarettes and vaping products. A ReachTEL poll of voters heading into WA’s “Super Saturday” byelections shows comfortable wins for Labor, but has the Liberal Democrats out-polling the Greens in the seat of Fremantle. The research, commissioned by Legalise Vaping Australia, put Liberal Democrat candidate John Gray on 17.4 per cent of the Fremantle primary vote, ahead of the Greens’ Dorinda Cox on 16 per cent. It came as a surprise, but today’s announcement from FDA on tobacco policy is huge. The video of Dr Gottlieb’s speech is available here. The new Commissioner, Scott Gottlieb calls for FDA to develop a ‘new comprehensive plan for tobacco and nicotine regulation’ and announced ‘bold and far-reaching measures’ based on ‘ a firm foundation of rules and standards for newly-regulated products’. You Too Can Own A Rarity! I don’t half treat you guys sometimes. Today I have listed an item on eBay so rare that I don’t think you will see another one this decade. Rarer even than a first folio Shakespeare! And yet you can own it. Yes, you really can! What’s more, this copy is signed by the author himself in tribute to your humble host, and contains a quote of mine which you can read about in an article I wrote earlier this year.